Send Gifts Send flowers Bulgaria. Hand Deliveries by Bulgaria Florists network, Local florists, Gift Shops, Cake shops, flower shops & reputed Courier. 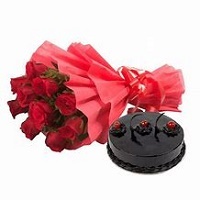 Send flowers, Fresh Cake, Unique Gifts same day. Selection for any occasion. Reputed local florists in Bulgaria sending your floral arrangement with fresh, cakes & gifts with good quality to Bulgaria & Nationwide.